31 weeks pregnant: what can I expect? You might feel like you have been in a rut since your pregnancy started. Change in social life, emotional changes like anxiety, and physical symptoms like weight gain, puffiness etc will all make you feel not so special. It’s time to take things in your own hand and schedule things like spa and massages to make you feel relaxed. A relaxed mum-to-be, is in a better condition to cope with ups and downs of pregnancy. Due to stretching of your skin on your belly and rapid weight gain you may have noticed some stretch marks on your body. 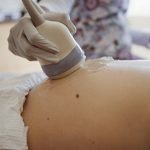 These marks can appear anywhere on your body during pregnancy. No woman likes stretch marks on their skin and they are considered unattractive. Fortunately you can prevent and control stretch marks by massaging your skin with creams high in Vitamin E and cocoa butter. Dry skin can make your skin more itchy and stretched. 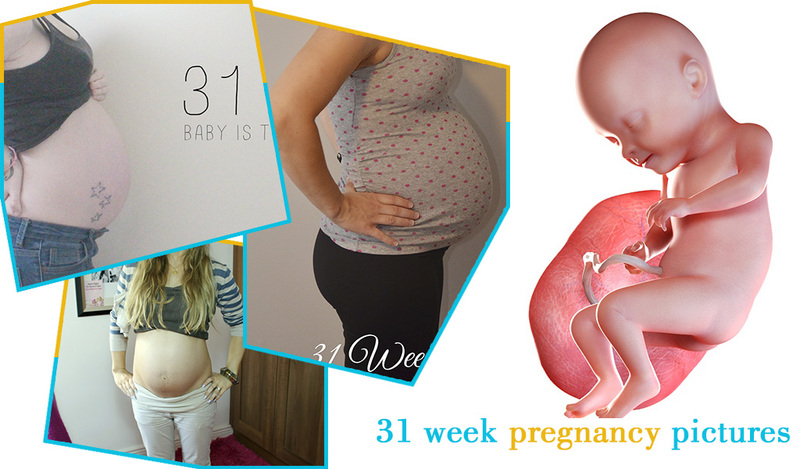 By 31 weeks your tummy would have grown to a considerable size and you will be felling awkward and heavy. Although mild shortness of breath is common throughout the pregnancy, it becomes more severe in the third trimester. The pressure of your expanding uterus on the respiratory system can cause breathlessness even with mild exertion. Doing breathing exercises and yoga is a good way for you to overcome your shortness of breath. Sometime during the third trimester your breasts may start leaking colostrum. This yellowish, thin fluid is your body’s way of preparing you for breastfeeding. Usually only a few drops of colostrum leak at this stage, but if it makes you uncomfortable you can wear nursing pads under your bra. By week 31 the iron stores you stored in your body before pregnancy will be depleting. Lack of iron can cause anemia and this will increase your feeling of tiredness, breathlessness and sometimes can even lead you to faint. It’s easy to keep your iron levels up during your pregnancy. Take an iron supplement and continue eating spinach like old Popeye. Vitamin C is well known to improve iron absorption, take a glass of orange juice with your iron supplement. As the weeks flow by its normal for you to be scared about labor and delivery of your baby. If it’s your first baby then you might be both excited and anxious about the whole process. Everybody’s labor and delivery is different, speak to your midwife or doctor about any concerns or questions you might have about your birthing plan. There may be little pain involved during the delivery process but once you hold your baby in your arms, all your pain will be forgotten. If this is your first baby at 31 weeks you might be confused and overwhelmed of looking after a new baby. You might wish for the days when you were independent and had a social life. The only way to cope with these feeling is to acknowledge them and talk about it to a trusted friend or health counselor. 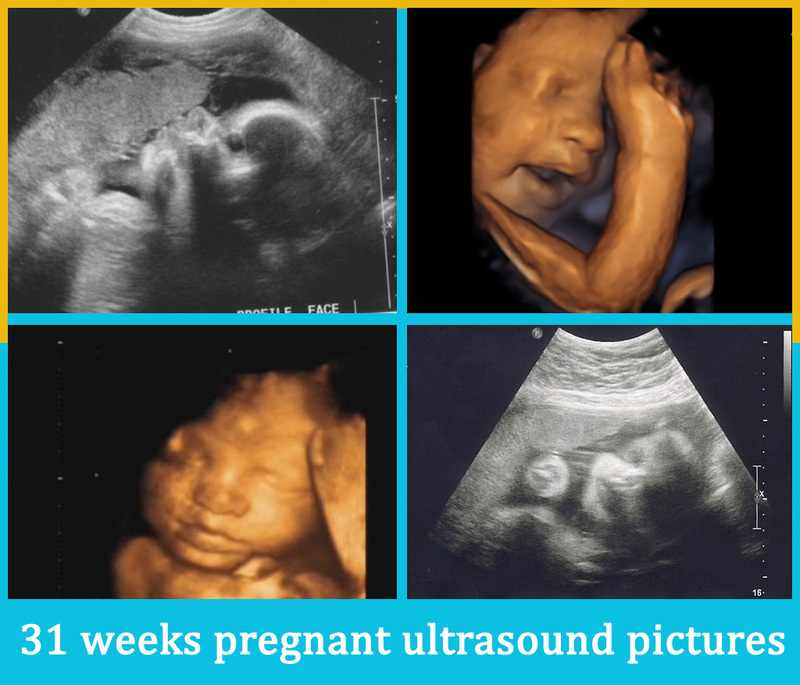 As far as development goes, at 31 weeks your baby is growing rapidly. This week it measures an impressive 46 centimeters, considering the fact that an average new born measures around 53 centimeters. Your baby’s brain is developing faster than before by this stage. Connections between the individual nerve cells are developing at a frantic pace in your baby’s brain. All the five senses in your baby are now active. It can hear the music you are playing on your stereo in the house. Your baby’s brain has developed enough now to fall into a rapid eye movement (REM) sleep. REM sleep is vital in the development of your baby’s brain and research has shown that humans have three states of being awake, sleep and REM sleep. Once you reach your third trimester you are most likely to have your antenatal checkups every two weeks until you reach 36 weeks. After that your doctor is going to ask you to visit for check-ups once a week until you deliver. As your due date approaches you can expect your doctor or midwife to do a mix of physical tests and discussions about the birthing plan. If you have any concerns about your delivery it’s a good idea to clear it up with your doctor beforehand. All fat is not bad, there are some good fats like omega-3 fatty acids that are good for you and the baby. These fats are vital when it comes to proper brain and eye development in your baby. The easiest way to get omega-3 fatty acid is to take a fish oil supplement. You can also eat sardines, prawn, salmon and nuts to boost up your omega-3 intake. At every antenatal check-up your doctor is going to ask you if you can feel your baby kick or move. So pay attention and track your baby’s movements and you can call your doctor immediately if you observe something is not right.